Chichi beans + basmati rice. I adapted this recipe from Staten Italy: Nothin' but the Best Italian-American Classics, from Our Block to Yours (by the pizza cuz guys). I served it with leftover naan. Southern-ish bowl: basmati rice topped with pan grilled spiced tofu, collard greens and black eyed peas. Hefty amounts of hot sauce included! I love collard greens - simply made with olive oil, lemon juice, pepper flakes. It is so comforting! Not the best photo but whatever! Fried veggie dogs with ketchup, mustard and sauerkraut from the neighbor (the best ever!) on naan - because we love Trader Joe's naan. Fries with ketchup round out the meal. 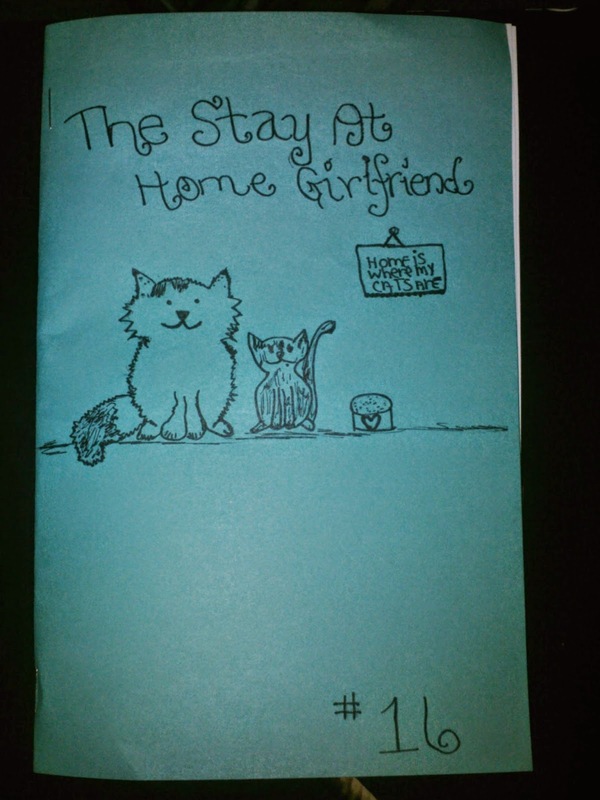 I released the newest issue of The Stay at Home Girlfriend - #16 over the weekend, please check it out! 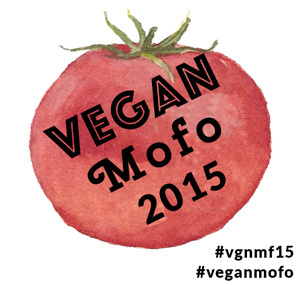 It is full of cats, vegan recipes, music, mental health/self care, beer tastings and more! I love collard greens, they're the best! Totally with you on the 'whatever' food photography, I'm bored of food/prop pictures that look like they should be in a cookbook but I guess if the person hopes to get a cook book deal then that's cool, do what you gotta do. Rad you made a new zine. The ones I just ordered should be in my mailbox by now but I'm away from home for a few more weeks, dying to rip the package open!